Other than Bat for Lashes’s “The Haunted Man”, we are playing Birdy’s self-titled album. Birdy, a 16 years old girl, who started learning piano from seven, wrote a song at 8, and won Open Mic UK in 2008. Her self-titled debut album contains all but except one (i.e. Without a Word) covers. I love the song “Skinny Love”, which gives a different feeling from Bon Iver’s original version. 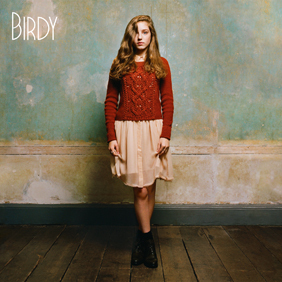 “Birdy” – Birdy, get it via iTunes.